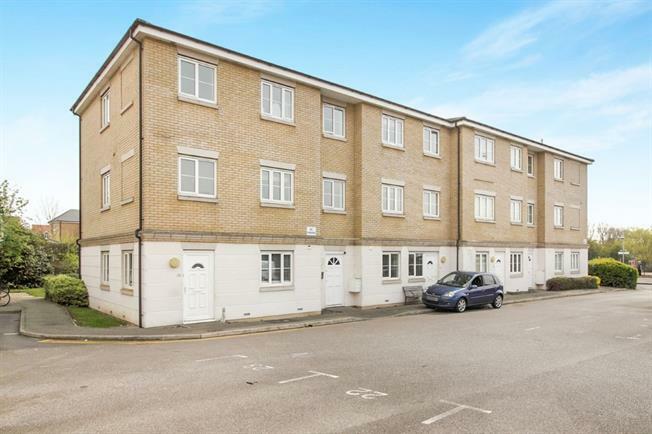 2 Bedroom Flat For Sale in Braintree for Guide Price £170,000. This property's price has dropped from £180,000 to Guide Price £170,000. This top floor two bedroom apartment is offered for sale with no onward chain. The modern open plan layout and contemporary finish to the property would lend itself to a perfect investment, with no work required. There is a fully fitted kitchen, sitting room, bathroom and two bedrooms. To the rear of the property there is an area of communal lawn, and a raised laundry area. To the front there is allocated parking and additional visitor parking. The entrance hall provides access from the communal areas and in to the sitting room and both bedrooms. Open plan to the kitchen, this a bright and modern space with windows on two sides. The re-fitted kitchen offers a range of eye and base level units with integral appliances. The Master Bedroom is located at the far end of the hallway, it is a good size double bedroom with a window overlooking the communal gardens. At the front, the second bedroom is a generous single bedroom. The three piece bathroom suite is located off of the sitting room and comprise; panel enclosed bath, low level WC and wash and basin. To the front of the property there are allocated parking spaces and visitor bays. To the rear of the property there is an area of communal lawn, and a raised laundry area.